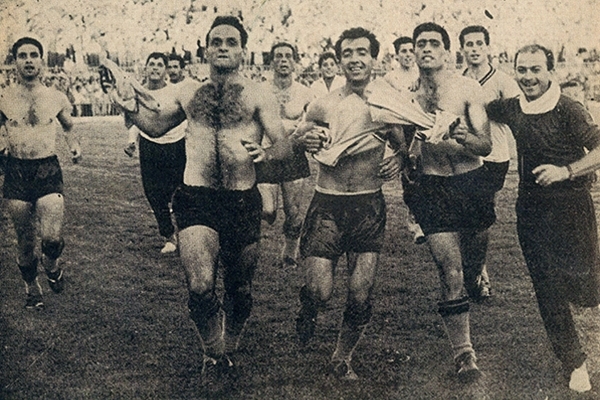 The first post-war League title for AEK and first at this level of Super League, after the play-off match against Panathinaikos in Nea Philadelphia. Final score 3-3 and a title for AEK due to a better goal ratio. Kostas Nestoridis, at 33, was the absolute star of Greek football while next to him 20 y.o Mimis Papaioannou was playing. On the bench the pioneering Hungarian-German Jenő Csaknády and the dressing rooms were filled with talented and big value footballers.